And I ponder over the artist’s act of reflection. Words are not the equivalent of his experience, nor of flowers or their images. They dig around trying to to find some light on their way across darkness. See, I’m keeping my intuition from growing impatient, and stay for a moment on the pond of Trémorin’s thoughts. What happens when he grabs an image using the camera as a medium (nothing to do with Marshall McLuhan), as a revealing lens. The flower is isolated from the garden, a crown of petals born to loose flash and colors very quickly and fall down, withered. 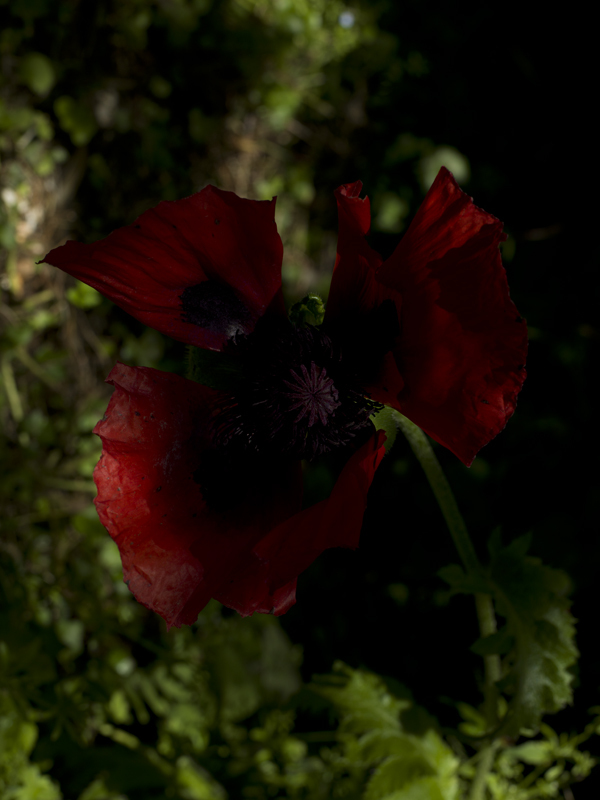 Yet, over the living time the botanical specimen – a poppy – spreads the same power as flames; a loud, hidden voice trills against the sun setting its sleep. Death and birth are exceptionally close in flowers’ lives. 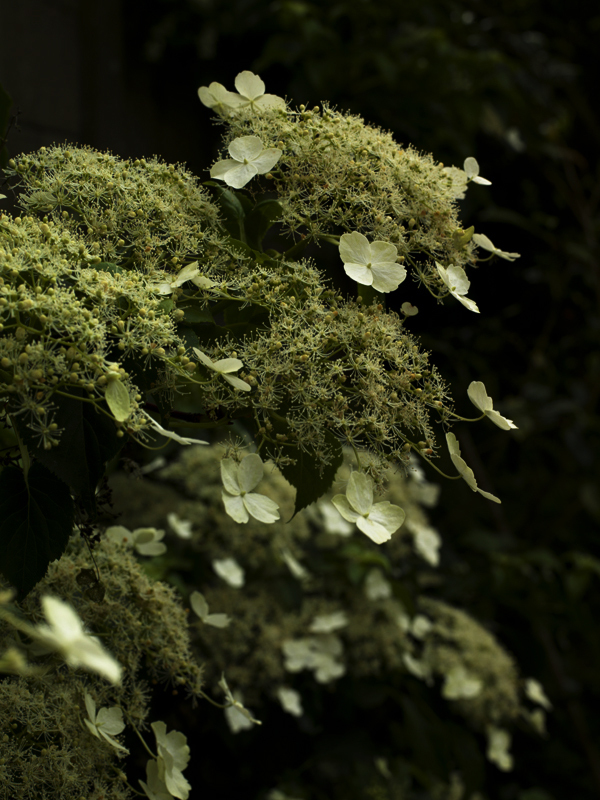 The hydrangea therefore, (hortensia), plays the population game, like a sponge covered with butterflowers on the verge of flying, green flakes hardly touching their mother plant. Closer and closer to the objects of observation, the mechanical-digital and the human eye, and our eyes as viewers move from the initial idea (such as recognizing the flower, its botanical classification, naming it) to a completely different mental territory, where thinking stops. Let me paraphrase Viktor Sklovskij: infinite lines can be parallel, you can trace from a point more than one perpendicular to a line. In a non Euclidean geometry all these things are possible, very much looking like comic jokes that don’t make us laugh more than a stomach-ache. “How” is the point. It’s also my point here, how we observe, how we are not what we believe. How we become flowers.